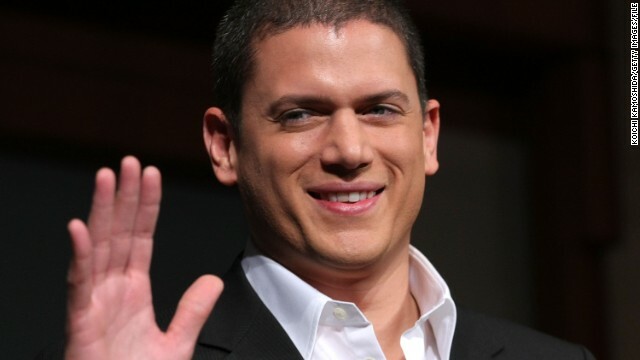 If Wentworth Miller had accomplished what he set out to do at 15, he wouldn't have lived past his adolescence. The "Prison Break" star, who came out as gay in August, said at a recent Human Rights Campaign dinner that he struggled with his sexuality as a teenager, and the pressure to fit in made him want to take his life. "Growing up, I was a target. Speaking the right way, standing the right way, holding your wrist the right way. Every day was a test, and there were a thousand ways to fail ... to not live up to someone else's standard of what was accepted, of what was normal," Miller told the audience, according to video obtained by TMZ. "The first time I tried to kill myself, I was 15," he recalled. "I waited until my family went away for the weekend, and I was alone in the house, and I swallowed a bottle of pills." As he became an actor and grew more successful, he began to fear being honest about his orientation. "I had multiple opportunities to speak my truth, that I was gay, but I chose not to," the 41-year-old said. "When I thought about the possibility of coming out, of how that might impact me and the career I might work so hard for, I was filled with fear." It wasn't until this year that Miller, who'd been invited to the St. Petersburg International Film Festival and declined to attend on account of the current climate toward gay men and women in Russia, saw the opportunity to be the inspiration he needed as a kid. "I thought if even one person notices, this letter in which I speak my truth and integrate my small story into this much larger and more important one is worth sending," he said. "I thought, 'Let me be to someone else what no one was to me.'" At M. A. P. and vixen [big shiz] That is correctamundo. No body should have to hide. This day and age is not our mother and fathers. Pathetic. I know im right fukface. This is something that a lot of gay youth have to deal with. With h0m0phobia being the "norm" in many places it is very easy as a young person to feel completely trapped and alone (not to mention the self-hatred). The fear of being rejected by your friends and family is massive, and the extreme weight of carrying a secret like that is just torture. Good on him for not taking his own life and props to him for coming out. Don't you think it's fuked up he waited over half his life to come out. I find it sad that we live in a society that people have to hide who they really are to succeed in life(and that's true for a lot of people, not just gay's). Yeah it's fuked! Can you imagine having a secret that is such an important part of your life, and that you have to lie to the people you care about from fear of losing them? Lying about why you dont have a girlfriend, lying about loving pu$$y etc etc etc. It's so fuked that in this day and age people are still made to feel worthless if they don't fit societies mould of what it is to be "normal" or "accepted". And then when you finally decide to "come out" people treat you as if you are an activist forcing your "agenda" on people. The message conservatives send is crystal clear: Fit in with us or do not exist. It's important we let people in that position know there are people who accept them no matter who they love or what color there skin is or how much money they come from. Think about how many lives could have been saved or still can be saved. Yeah it helps to know there are others out there, but with many suicides it is because their family and their friends who they have known for their whole lives, are h0m0phobic and that is enough to make them feel worthless. I can't even imagine how bad it must be in Uganda/iran etc.